This week’s premium design resource for Access All Areas members is a massive watercolour pack courtesy of The Hungry JPEG. 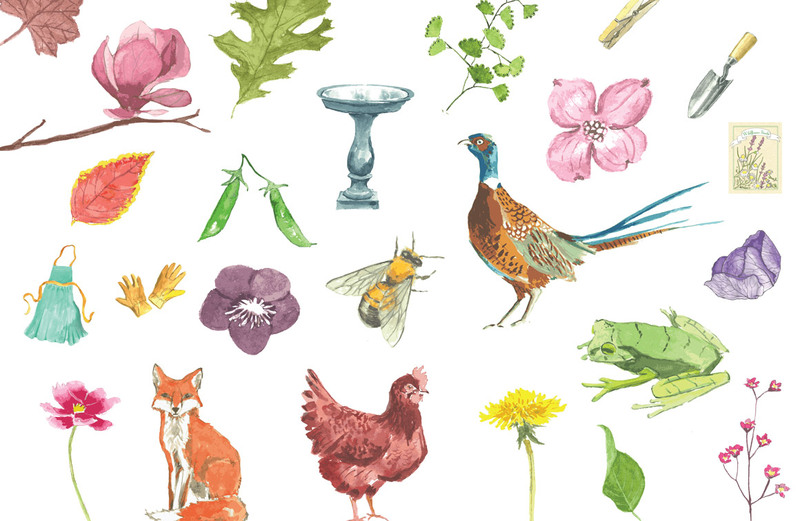 It contains loads of beautiful hand painted illustrations of animals & creatures, flowers, garden elements and leaves, along with 24 high resolution watercolour backgrounds in a range of colours. Each graphic is available in a variety of formats, including vector AI files for Illustrator, PSD documents for Photoshop and PNG images for every other application. The Hungry JPEG was started in November 2014 as a website to help designers, crafters, newbies, seasoned graphic design ninjas and well, anybody with an interest in the design world. The aim was to provide high quality design resources for an affordable price and even throw in some freebies! As the freebies and bundles grew so did the demand for a permanent shop. The Hungry JPEG shop launched in July 2015 and is growing daily! Not only can you now buy whatever you like whenever you like, but you can still find amazing deals in their premium bundles. The Watercolor Pack contains 45 illustrations and 24 bonus background textures to give you a full collection of assets to produce rustic watercolour style designs inspired by the countryside. Each illustration graphic is 100% editable in both Illustrator and Photoshop, so you can edit and tweak the images to your preference, while each texture comes in a large 2500×2500 PNG format. This is superb Chris, love it! Ah, yes! The Hungry Jpeg is an awesome site! Thanks to those folks. Thanks to you, too, Chris. This looks like fun! Thank you for introducing The Hungry JPEG to us Chris! I visited their website and found hoards of beautiful watercolor graphic textures and design.